The Invisible Enemy Should Not Exist, by New York artist Michael Rakowitz. 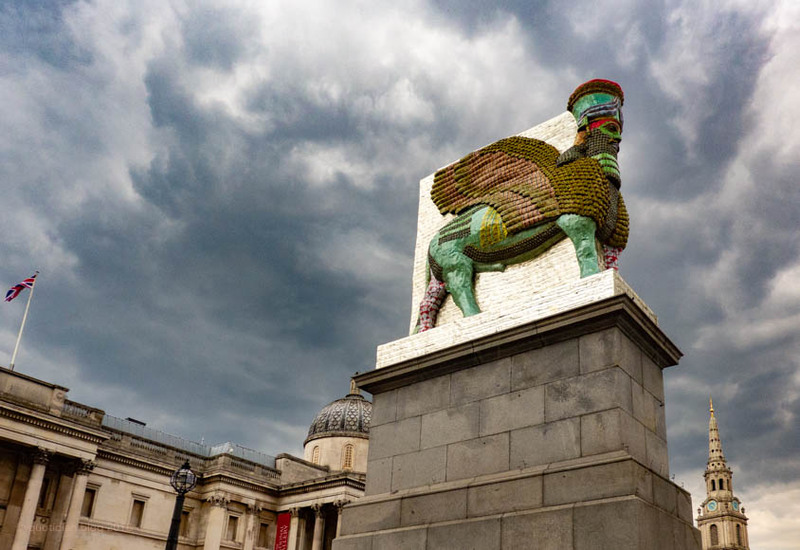 A replica of Lamassu, which was destroyed in 2005. It is made out of 10,500 tins of Iraqi date syrup.